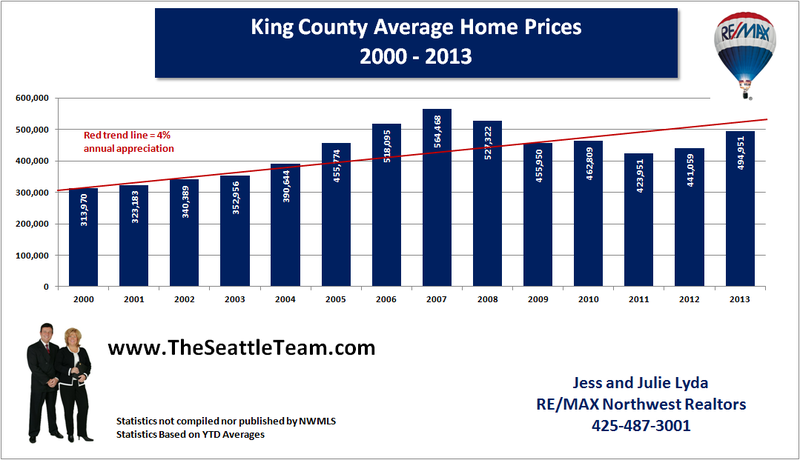 We noticed an alarming trend in the Seattle real estate market over a year ago in October of 2012. For 12 months in a row, home sales had exceeded new inventory coming on the market. It then continued for 17 straight months until April 2013. However the net gain of inventory for that month was only a measly 9 listings. 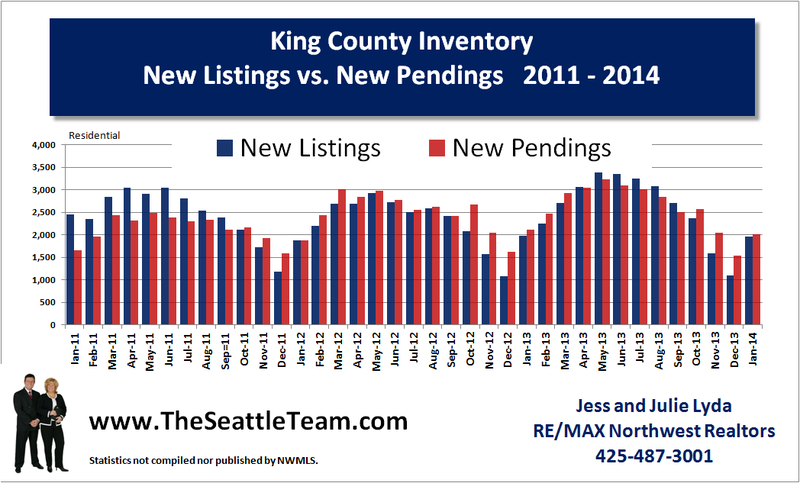 In our blog titled Housing Shortage on the Horizon in Seattle we predicted that if the trend of home sales continue to outpace new listing inventory coming on the market we would be headed for significant price increases. From January 2012 through January 2014 there was a net inventory reduction of 3,040 homes. Last summer new inventory started coming on the market, but those homes were quickly snatched up by home buyers and did little to nothing to give the real estate market a healthy supply of homes to meet the current demand. 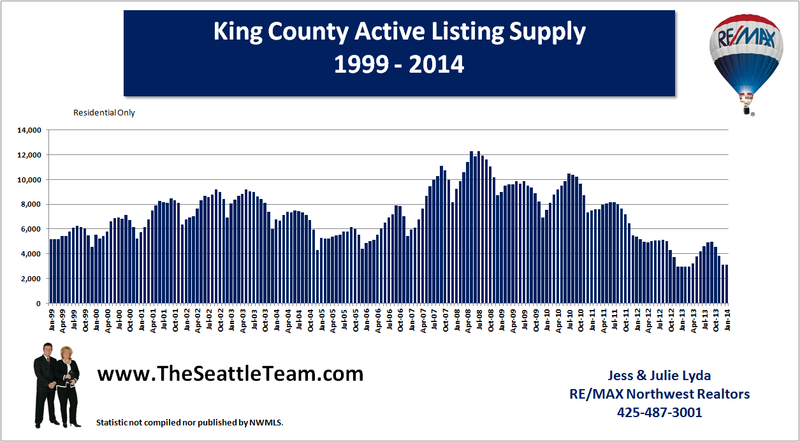 Available inventory is still at historic lows. In the pre-bubble years of the early 2000's, available homes for sale each month varied between 6,000 - 8,000. Today we only have about 3,000. We have no reason to believe there will be any significant changes to this trend anytime soon. While interest rates remain low and home buyer demand exceeds any new supply of homes, look for home prices to continue their rise. Home prices were up 4% for 2012 and 12% for 2013. We expect that 2014 prices will reach and/or exceed the 4% appreciation trend line as shown in the chart below. So what does all this tell us? It tells us that inventory is too low to meet demand which will continue to put upward pressure on home prices. Home buyers will continue to be frustrated by lack of homes to choose from and getting involved in multiple offer situations.... memories of the Real Estate Bubble days.